Doily measures about 14” [35.5cm] diameter. 1. Doily is made from 55 pieces that are worked separately. The pieces are arranged following Assembly Diagram on page 4 then sewn together. 2. A border is worked around the outer edge of the joined pieces to finish doily. 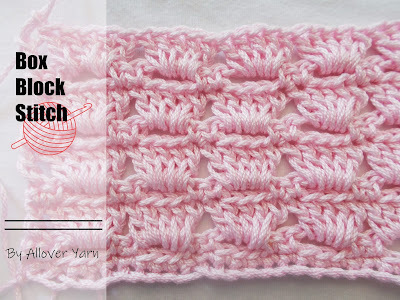 picot = Ch 3, slip stitch in 3rd chain from hook. puff = Yarn over, insert hook in indicated stitch and draw up a loop, [yarn over, insert hook in same stitch and draw up a loop] 3 times, yarn over and draw through all 9 loops on hook. Ch 6; slip st in first ch to form a ring. Round 1 (right side): Ch 6 (counts as dc, ch 3), dc in ring, [ch 3, dc in ring] 4 times, ch 3; join with slip st in 3rd ch of beginning ch—6 dc and 6 ch-3 spaces. Round 2: (Sc, hdc, 3 dc, hdc, sc) in each ch-3 space around; do not join—6 petals. Round 3: Working behind petals, slip st around post of first dc of Round 1, *ch 5, slip st around post of next dc in Round 1; repeat from * 4 more times, ch 5; join with slip st in first slip st—6 ch-5 spaces. Round 4: (Sc, hdc, 4 dc, hdc, sc) in each ch-5 space around; do not join—6 petals. Round 5: Working behind petals, slip st around first dc in Round 1, *ch 7, slip st around post of next dc in Round 1; repeat from * 4 more times, ch 7; join with slip st in first slip st—6 ch-7 spaces. Round 6: (Sc, hdc, 7 dc, hdc, sc) in each ch-7 space around; join with slip st in first sc—6 petals. Fasten off. Round 1 (right side): Ch 2 (does not count as a st), 10 hdc in ring; join with slip st in first hdc to join—10 hdc. Round 2: Ch 4 (counts as tr), (tr, dc) in same st as joining, 2 hdc in next st, 2 sc in next st, 2 hdc in next st, (2 dc, tr) in next st, picot, (tr, 2 dc) in next st, 2 hdc in next st, 2 sc in next st, 2 hdc in next st, (dc, 2 tr) in next st; join with slip st in top of beginning ch—24 sts and 1 picot. Ch 14; slip st in first ch to form a ring. Round 1 (right side): Ch 1, 23 sc in ring; join with slip st in first sc—23 sc. Round 2: Ch 1, sc in same st as joining, [ch 3, skip next st, hdc in next st] 4 times, ch 3, skip next st, dc in next st, ch 3, skip next st, (tr, ch 6, tr) in next st, ch 3, skip next st, dc in next st, [ch 3, skip next st, hdc in next st] 4 times, ch 3; join with slip st in first sc—13 sts, 12 ch-3 spaces, and 1 ch-6 space. Do not fasten off. Round 3: Ch 16 (for stem), sc in 2nd ch from hook and in next 14 ch, 4 sc in each of first 6 ch-3 spaces, (4 sc, ch 2, 4 sc) in next ch-6 space, 4 sc in each of next 6 ch-3 spaces; join with slip st in first sc. Row 1 (RS): Sc in 2nd ch from hook and in next 9 ch, puff in next st, sc in next 16 ch – 26 sc and 3 puffs. Row 1 (right side): Sc in 3rd ch from hook (2 skipped ch count as beginning ch-2 space) and in next 5 ch, (sc, 3 hdc, sc) in last ch; working across opposite side of foundation ch, sc in next 6 ch, 3 sc in beginning ch-2 space; do not join—20 sts. Row 2: Do not turn, sc in next 5 sc; leave remaining sts unworked. Row 3: Ch 1, turn, working in front loops only, sc in first 6 sts, 3 sc in next st, sc in next 6 sts; leave remaining sts unworked. Row 4: Ch 1, turn, working in back loops only, sc in first 7 sts, 3 sc in next st, sc in next 5 sts; leave remaining sts unworked. Row 5: Ch 1, turn, working in front loops only, sc in first 6 sts, 3 sc in next st, sc in next 6 sts. Rounds 1 and 2: Work same as Rounds 1 and 2 of Lace Leaf I. Do not fasten off. Round 3: Ch 7 (for stem), sc in 2nd ch from hook and in next 5 ch, 4 sc in first 6 ch-3 spaces, (4 sc, ch 2, 4 sc) in next ch-6 space, 4 sc in each of next 6 ch-3 spaces; join with slip st in first sc. Rounds 1–4: Work same as Rounds 1–4 of Center Flower; join end of Round 4 with slip st in first sc. Arrange pieces following Assembly Diagram. Whipstitch pieces together. Sew just a few stitches where the pieces touch and carefully weave in ends. Round 1 (right side): With right side facing, join thread with sc in center st of top petal of any Small Flower, ch 20, sc in st near middle of side edge of next Lace Leaf II, *ch 20, sc in center st of top petal of next Small Flower, ch 20, sc in st near middle of side edge of next Lace Leaf II; repeat from * around, ch 20; join with slip st in first sc—24 ch-20 spaces and 24 sc. Round 2: Ch 3 (counts as dc), 27 dc in first ch-20 space, *dc in next sc, 27 dc in next ch- 20 space; repeat from * around; join with slip st in top of beginning ch—672 dc. Round 3: Ch 3 (counts as dc), (dc, picot, 2 dc) in same st as joining, *ch 1, skip next 6 sts, (2 dc, picot, 2 dc) in next st; repeat from * to last 6 sts, ch 1, skip next 6 sts; join with slip st in top of beginning ch—96 picot. Block Apply fabric stiffener following instructions on container.